Joseph and Ellen (nee Rogers) Crothers left County Tyrone some time between late 1845 and the middle of 1848, when Ireland was suffering the Great Famine. After 7 to 10 years in Liverpool, they left for a new life in VDL with their children, John and Henry. They settled in Pontville, where Joseph served as a trooper. Their descendants, now spread around Tasmania and across the continent of Australia, from Western Australia to Queensland, and beyond the oceans, came through John, who moved to northeast Tasmania, and their daughter, Elizabeth, who married in Melbourne. 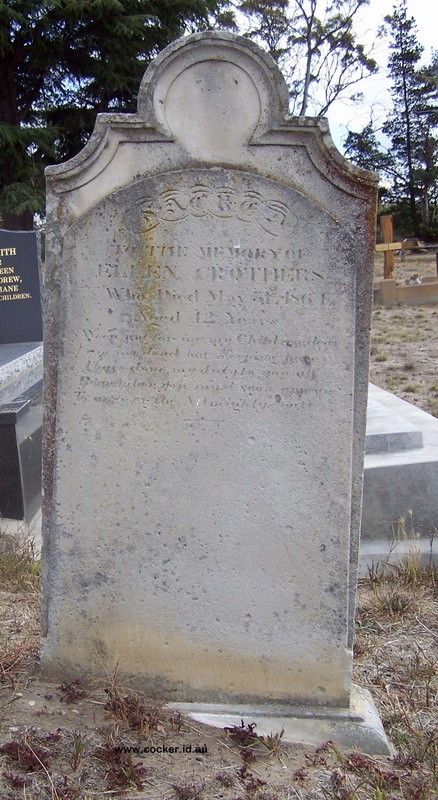 Joseph Crothers was born in County Tyrone, Ireland, between 17 February 1820 and 16 February 1821, if the information on his tombstone – Who died 16 February 1871 Aged 50 - is correct. 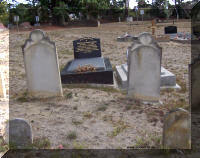 Ellen Rogers was born in County Tyrone, between 1 June 1821 and 31 May 1822, if the information on her tombstone - Who died May 31st, 1864 Aged 42 – is correct. 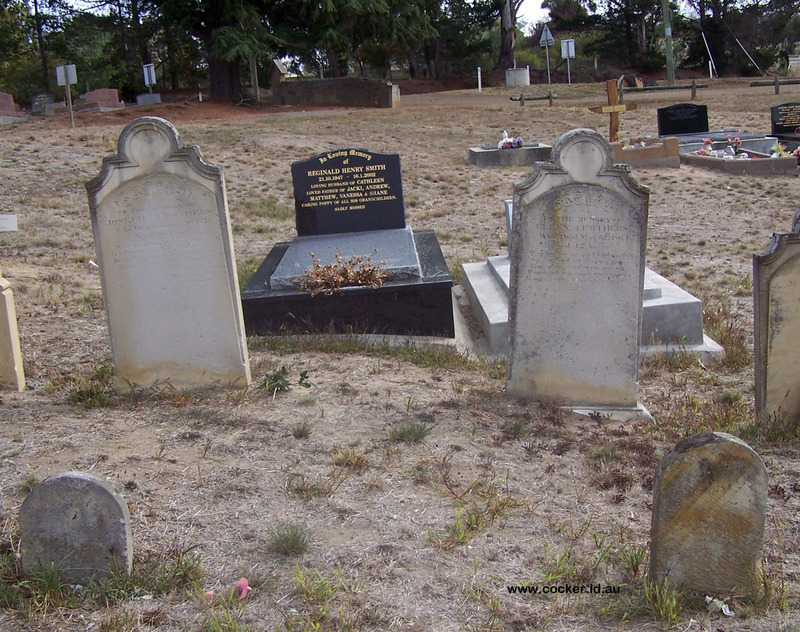 The tombstones can be seen in the churchyard of St Marks, Pontville, Tasmania. These stones were erected by an affectionate son. To answer the Almighty's call." 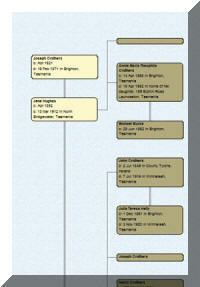 The recent (2016) discovery, in the Tasmanian Archives, of a box of folders of intestate estates, including one for Joseph containing 48 papers, has added vital information about the family. Joseph had written dates of some family events on the back of a flyleaf of a book of psalms. Joseph and Ellen were married on 12 November 1844 - before civil registration began in Ireland in April 1845. Unfortunately, no other detail of the wedding is yet known. They had 7 children – one (James) born in Ireland, three (John, Joseph and Henry) born in England and three (Elizabeth, Robert and William) born in Tasmania. Their first child, James, was born 10 November 1845. 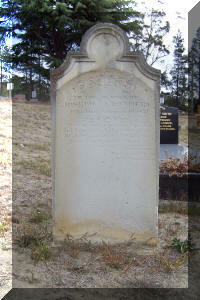 James died on 17 July 1848. He may very well have been a victim of the famine. Perhaps the death spurred his parents to make the move to better conditions in England. 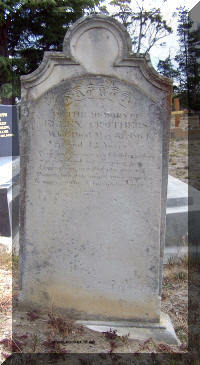 After Ellen’s death in 1864, Joseph had another child, with Jane Hughes, in 1868. Jane, the daughter of Thomas and Margaret Hughes of North Bridgewater, was born in 1847 and died, as Jane Pilkington, on 13 March 1912 in North Bridgewater. There are 10 known descendants of Joseph and Jane, through their daughter, Annie. It is not yet known if any of those descendants living today are aware of Joseph’s existence. 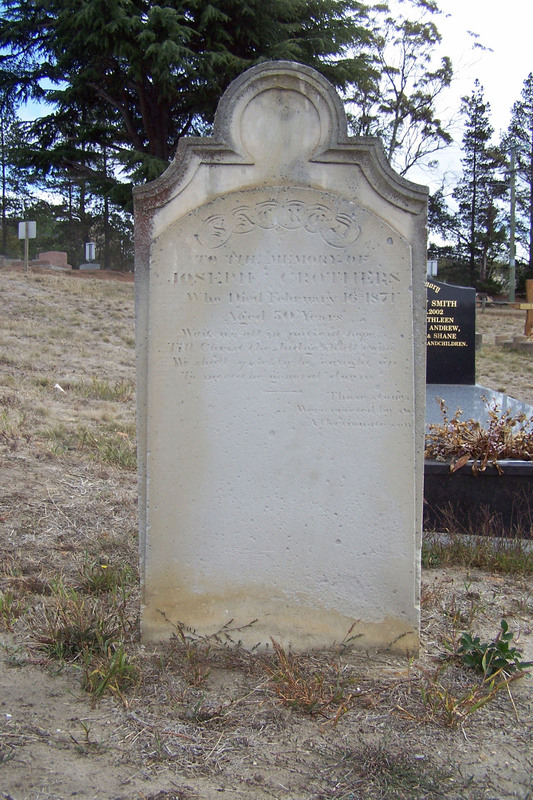 Annie married Michael Burke, son of convicts ↑Michael Burke and ↑Bridget Kehoe at Brighton, Tasmania on 8 Sep 1891.